The challenge this week at The Paper Players was to create a masculine project with clean and simple lines. 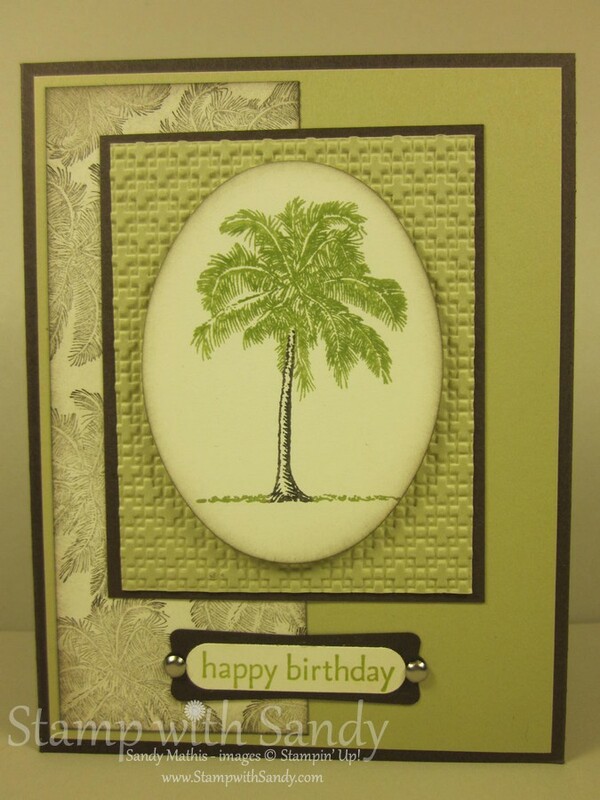 I love making masculine cards! 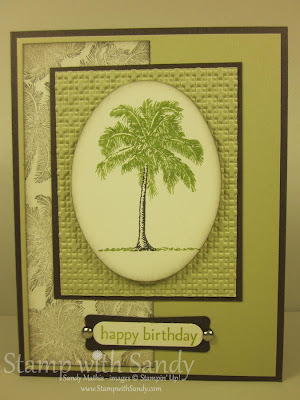 I used the Plant Hope Stamp Set in muted earth tones for this birthday card with a tropical feel. 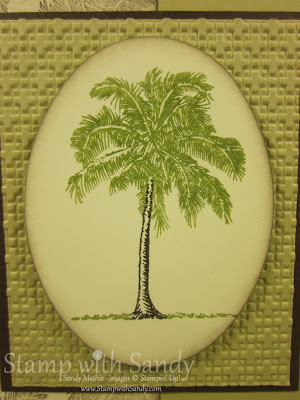 I made my own background paper using only the fronds of the palm tree in Early Espresso Ink stamped off once. I'm always surprised when people tell me they struggle with masculine projects, so to help I have come up with some suggestions to help make your project more 'manly'! I hope that gets you started on your own masculine projects! A perfect masculine card, Sandy! The texture is fabulous! Thanks for playing with The Paper Players! I love this set Sandy and I always almost buy it! I need to do it because it looks great on your card! Love the layout and texture. Thanks for joining us at the Paper Players!